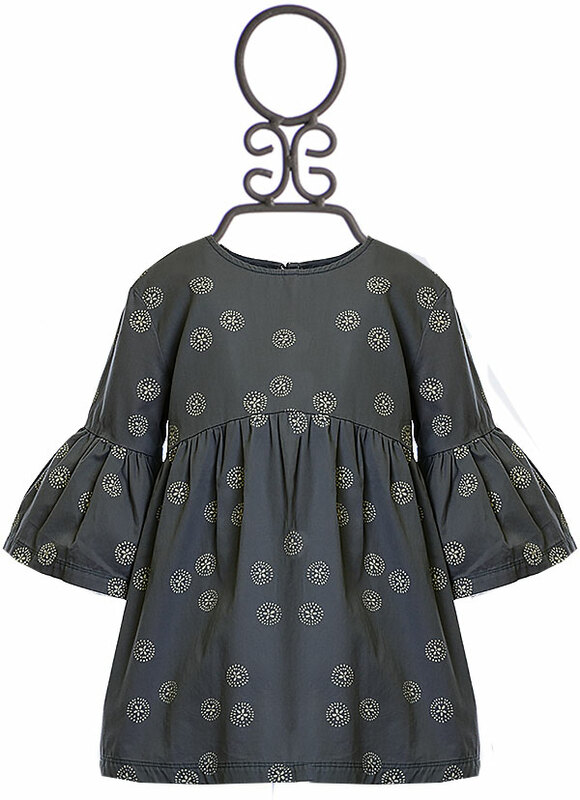 $52.7 - In a beautiful new blue shade, this casual girls dress is part of the new spring 2018 collection from Rylee and Cru. The fabric is covered with a small white print featuring sand dollars! Sea life fills the inspiration for this release and is the perfect choice as we welcome summer days. The wide cut is casual and comfortable. A shark bite waist falls further on both sides while a bell ruffle caps off her sleeves. This same design is also available in stripes!